Here's What International Director Has To Say About Yo Yo Honey Singh's Makhna! Here’s What International Director Has To Say About Yo Yo Honey Singh’s Makhna! Yo Yo Honey Singh’s comeback song was one of the most awaited songs of 2018, directed by international director Daniel Duran. The director of the video after receiving so much of love and appreciation for the song posted an emotional note of his social media. The song has become the fastest song to reach 10 million views on YouTube. 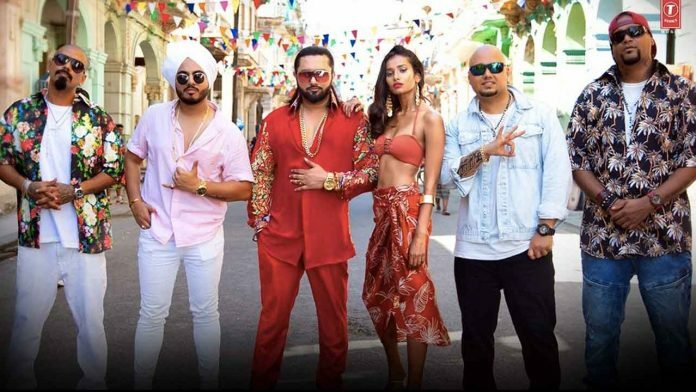 With a touch of reggaeton beats from the Latin origin, the song is so peppy and electric chartbuster that it didn’t take much time to reach 5 lakh likes also, as the response clearly states that Yo Yo Honey Singh is back again to shine. ‘Makhna’ song offers a carnival feel instantly lifting your mood and forcing you to hit the dance floor. Since the team wanted to get a carnival look to the video, they decided to shoot in a Latin country like Puerto Rico or Columbia. However, they finally selected Cuba. Directed by Spanish Director Daniel Duran, ‘Makhna’ took 7 months of creative planning before the shoot. The song is composed by Yo Yo Honey Singh and it has the vocals of Yo Yo Honey Singh, Neha Kakkar, Singhsta, Pinaki, Sean, Allistair, and lyrics are penned by Yo Yo Honey Singh, Singhsta and Hommie Dilliwala. Previous articleThis Is How Ritesh Sidhwani Celebrated His Christmas!